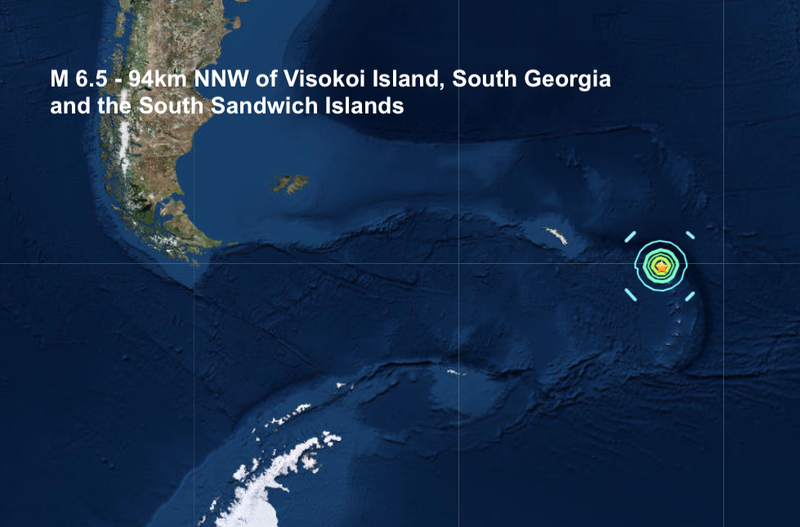 A magnitude 6.5 - 94km NNW of Visokoi Island, South Georgia and the South Sandwich Islands is the 3rd major quake of April and the 34th of 2019. It is interesting to compare, at the same point 100 years ago in 1919 only 7 major quakes, (mag 6 or higher) had been recorded worldwide, however, 3 of those were big ones, mag 7 plusers, the biggest being a Mag 7.8 in the Fiji region. The biggest this year was a Mag 7.5 - Palora, Ecuador.